Kinderlime is the most powerful solution to automate processes at childcare centers and afterschool programs, removing every operational burden for schools. In this article, I want to deep dive into billing — one of the most challenging areas to manage at a childcare center and how Kinderlime abstracts the problem and solves it in an intuitive way. With our system, staff and administrators no longer have to stress about generating the invoices manually or collecting and recording payments. What do the School, Staff and Admins get? Time and energy back in your day, with less ink and paperwork. No more stressing during billing cycles, and less bookkeeping. You don’t have to do the math — let Kinderlime do it for you. Keep your parents happy by letting them pay online via Bank ACH or Credit Card (and even set up autopay). To get these above benefits, we first needed to understand a childcare center’s minimum requirements and how it feels to run your childcare center without online billing. First, we need to understand what an average childcare needs. Our team at Kinderlime has spent significant time and effort in determining what billing system would be best suited for education centers. After spending months talking to customers from small (10) to large centers (~1000) and going through the most commonly used software applications that are out in market, we found out that either the software was too complex to use or it was not at all serving the purpose quickly. Billing comprises of three major components: Invoicing, Payments & Refunds. generates monthly statements and reports to track all payments and transactions. These are the very basic requirements of a billing system for a childcare center. How do childcare centers process invoices without online billing? To understand this, we need to analyze some of the billing requirements of a childcare center and how they are addressed in the absence of an online billing platform. Let us consider a real case of a childcare center which offers different types of enrollment programs. Invoices can vary from monthly, weekly, biweekly, daily or hourly based on the attendance and time spent by the student. Also, some of the students can be enrolled in more than one program. The invoice for each student has to be generated carefully by observing the program the student is enrolled in and how many hours/days/weeks the student attends. Doing this exercise manually takes an enormous amount of time and is excessively tedious for the staff doing it for each child. And then this process has to be repeated every month or week. Finally these invoices need to be given to the parent. They can either be handed over to the parent directly or mailed to their address. Once the invoice is generated, the parent is required to make the payment.Without an online billing platform, this is another problematic task for the parents to go through every month or every week. They need to physically come to the center to pay via check, cash or point of sale. In the world of mobile banking, millennial parents hate it. 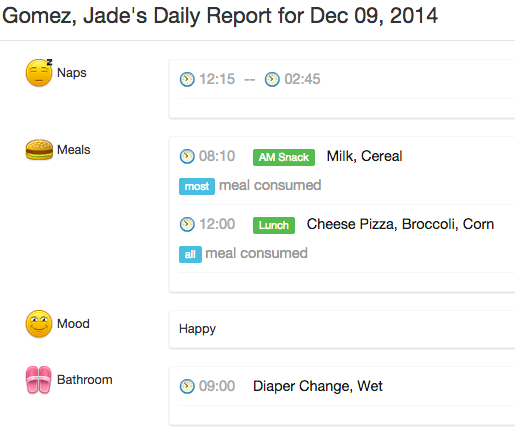 How does Kinderlime’s Billing System save you tons of hours? Kinderlime’s billing system handles every aspect of online billing. Lets break it down. Both plans work towards a common goal of generating the invoices on a given date. However, there is difference in how they function on calculation of the Invoice Amount. The functioning of the Tuition Billing Plan is simpler as compared to the attendance one, and is most suitable for the monthly tuition charges. A Tuition Plan can be created and assigned to one or more students of the center. The plan runs separately for each child and so it can have separate components depending on the programs the child is enrolled into. A tuition plan will automatically be processed on a preset date and will generate the invoice for the student based on the invoice line item templates provided during the creation of the plan. A plan can anytime be edited for adding/updating/removing the invoice line items. An Attendance Plan is a much more extensive way of controlling the automatic generation of invoice to a very detailed level. Attendance Plan is specially designed to generate invoices where the calculation is required to be done on the exact number of hours / days attended by the student in one or more programs or activities. In this plan we can create various charges inside plan and each charge will initiate an invoice line item in the target invoice. We can also select for which specific days a particular charge should be picked up and contribute towards invoice. We can also select for which specific rooms a charge should work. i.e. if the student has spent time in another room he will not be charged with the charge belonging to the given room. Any Billing Plan can be paused and resumed anytime as per the requirements. One can also provide an end date and after that the plan will automatically gets ended and will no longer generate invoices. Every Billing plan comes with due-date and timely auto reminders to parents so they can make the payment. Templates: Any of the billing plan you create in Kinderlime can be easily reused as templates, so you build just once! Each student can also have multiple plans . 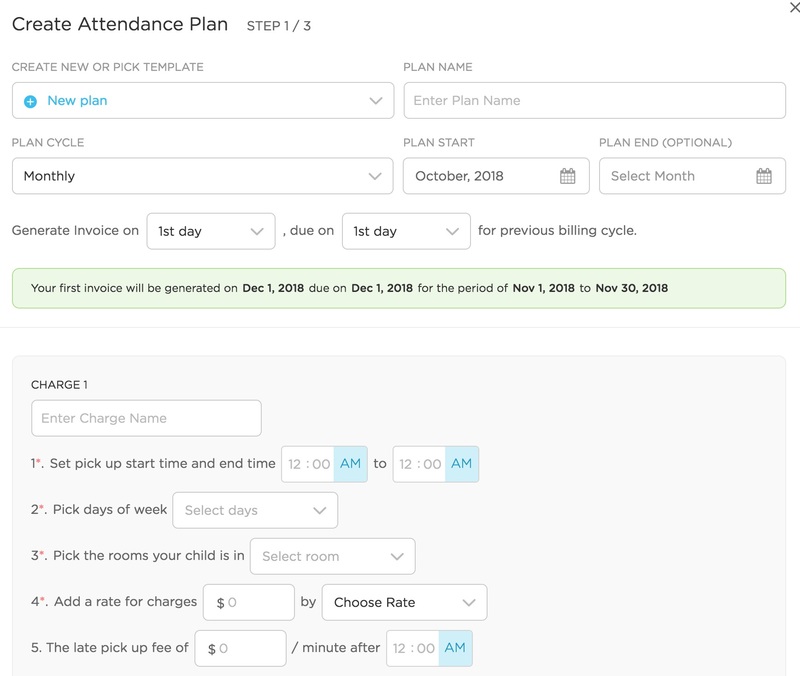 Think of scenario -> where a student is attending Before-Care, Day ChildCare and After-Care with different rates and timings, Kinderlime seamlessly calculates the charges and generates invoice. Analogous to the Billing Plans which works for auto generating the invoices, the Auto Payments feature provides ability to auto debit parent payment accounts based on a consent given by the parent. If a parent enables the auto payment on their activated payment method, the Kinderlime Auto Payment system debits that payment method on the due date of the invoice. Parents can pay through mobile or website. We notify when invoice is due on app and with simple tap parents can view the balance and make payment. With Kinderlime Billing System the online processing of refunds is just a matter of a couple of clicks. The staff doesn’t even need to remember the original payment method from which the parent made the payment. Upon successful processing of the refund, the full payment will get reverted to the original payment method as opted by the parent. Another required component of a billing system is to provide credit to the users. There are various instances where the payment is not required to be refunded but a simple credit to the user account works better. Kinderlime righteously provides the facility to add the credit memos to the parent accounts which later gets adjusted towards the forthcoming invoices. We have seen that almost all childcare centers will either have siblings attending same program or have subsidies through grants. In both these cases, centers would like to easily configure discounts and record these into reports as well. Kinderlime provides simple way to capture those in one-off invoices or in recurring billing plans. Lot of business owners use QuickBooks for accounting purposes and Kinderlime offers quick integration so that you can sync all your transactions easily. Bookkeepers love kinderlime simply because of our reporting capabilities. At any time you can pull in your transactions , account or aging report and understand your receivables better. Kinderlime works with multiple gateways. Its architected to scale and seamlessly handle multiple gateways. We work with Stripe & Bluepay as the payment gateway options today. Once the school sign-up for either of the gateway accounts through Kinderlime, they will never require to visit their portal pages again. Kinderlime provides every transaction with details within the Kinderlime Billing section. We sync every transaction recorded with gateway and consolidate multiple times to keep them accurate. Kinderlime Platform is built as service oriented architecture driven through API’s. All clients communicate securely through API. Billing system is built as independent micros-service serving various needs. We generate hundreds of thousands of invoices amounting to millions of dollars each cycle across our schools, and its paramount to us to make sure schools are operating efficient without a glitch. Our platform operates behind VPC (Virtual private cloud) and so does billing so it’s never talking to internet gateway. We do not store any CC/ACH info of parents or schools, and solely rely on gateway for processing. And, providing more capabilities to plans and payments options.